In 1991, the United States was the only global superpower. It seemed that the 21st century, like the 20th, would belong to America. Then came the stock market bubble, the costly foreign unilateralism of the younger Bush presidency, and the financial catastrophe of 2008. Meanwhile, China was rising and the Middle East was awakening politically. Today it is clear that America is vulnerable, to domestic and international decline and unregulated greed. 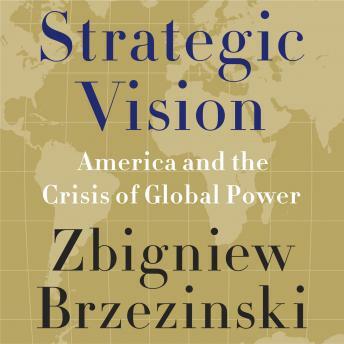 Speaking from decades of experience, Brzezinski considers the implications of the changing distribution of global power, ponders why America's global appeal is waning, speculates on the likely geopolitical consequences if America declines by 2025 (will China assume America's central role in world affairs? ), and describes a vision of a resurgent America: responsive to challenges, strategically deliberate, and historically enlightened in its global engagement with the new East.